A holiday to Porto usually consists of consuming a lot of what the city is best known for: port wine. However, the diverse city of Porto can offer far more than just drinking, as the city is equally famous for its architecture and many intricate bridges. 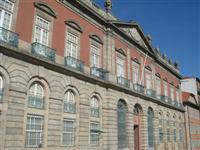 Despite being principally an industrial centre, Porto also enjoys a great many historical and cultural attractions. An array of cathedrals and interesting museums are dotted around the city, including the exquisite Baroque church of St. Frances which stands on the Porto waterfront. Another hugely popular sightseeing opportunity in Porto is a beautiful UNESCO World Heritage site in the form of the historic riverside Ribeira district, a must see attraction when visiting the city. Although there is plenty to do for the cultural enthusiast, when it comes down to it, a visit to Porto is never complete without savouring the legendary port wine that is lovingly processed, mixed and matured in the Vila Nova da Gaia district across the river from the city. Once visitors have sampled the delicious beverage, an excellent way to explore the scenery is via a boat cruise on the River Douro, or a trip to one of the many neighbouring fishing villages.